Ahh yes, the grilling and summer cooking season is almost upon us. Well, actually in our house we've been grilling since early March, but who said we are normal. What's a little snow on your shoulder while grilling...fun, that's what I call it!! 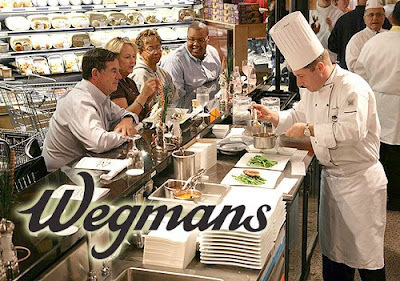 Well, if your looking for some fun, new fresh summer cooking ideas and helpful tips you way just want to head on over to your local Wegman's tomorrow to check out the Stock-up For Summer Event from 11am-3pm. There will be stations set-up throughout the store featuring coupons, free samples to taste, new meal ideas, and more all to make for an enjoyable summer season.